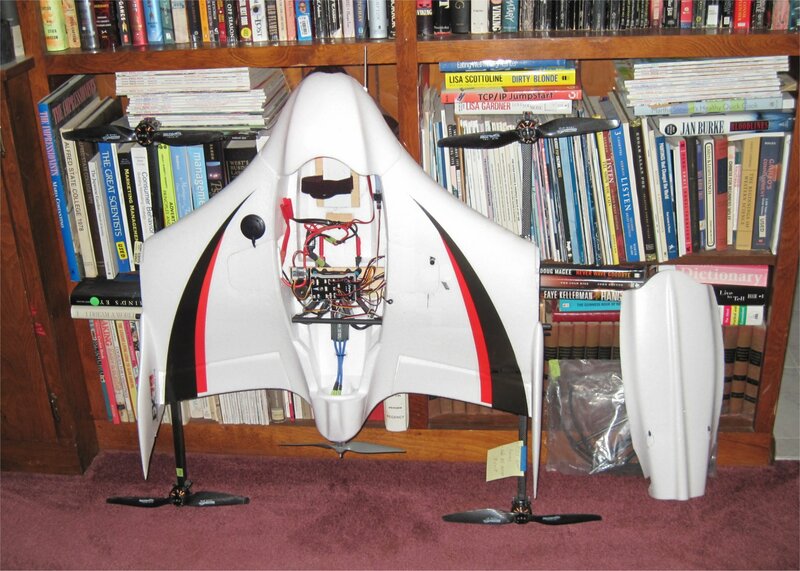 This is a continuation of the FX-79 Buffalo QuadPlane conversion from the original thread here in the Plane 3.8 forum. The newer VTOL forum is more appropriate for this topic and it allows us to change APM releases over time. Our Fall weather this year in Upstate NY has been cold, wet, and windy, so it’s time to start catching up on building projects. I purchased 4 air speed sensors for different projects and decided to go with the older analog APM AS Sensors because they are less than half the price of their I2C counterparts. 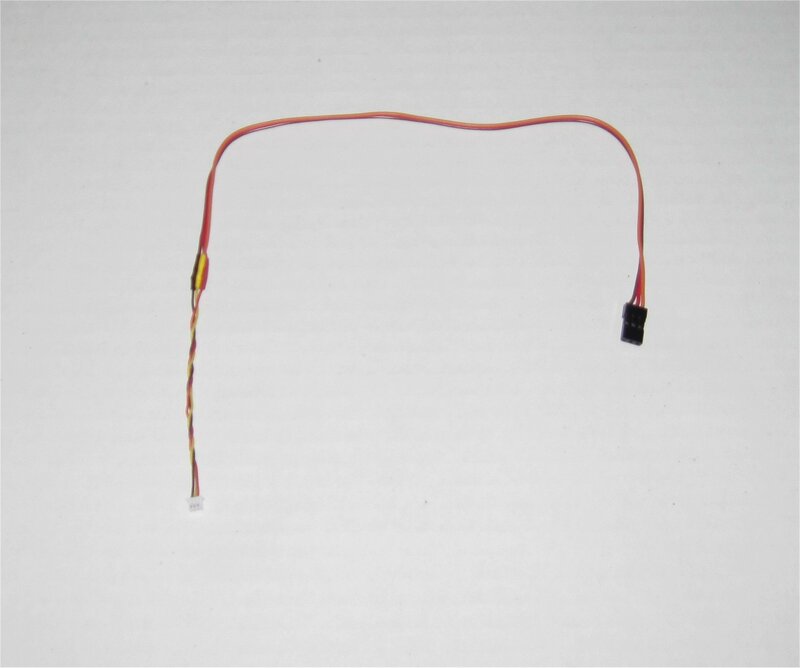 By creating your own 3-pin to R/C servo cable, you can effectively save $25 per AS sensor. I have been using the analog sensors for years without issue. I found the AS sensor easy to mount by using one of the three air holes up front. The middle hole is meant for a camera but I have not used it yet. The FX-79 is big so you can mount the AS sensor in many places. 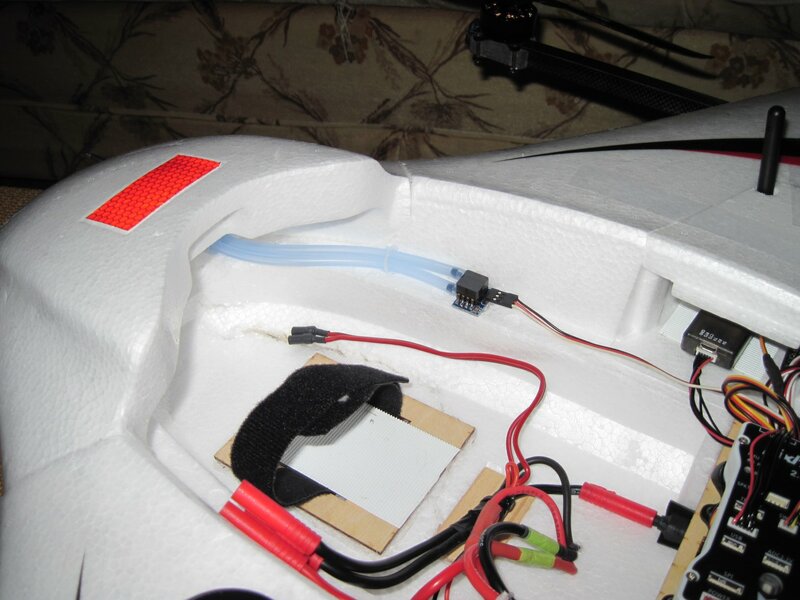 I glued the metal pitot tube in place using Foam Tac. In preparation for further test flights and adding payload, I re-visited my previous idea of adding the 3D printed retracts meant for the Opterra 2M wing. 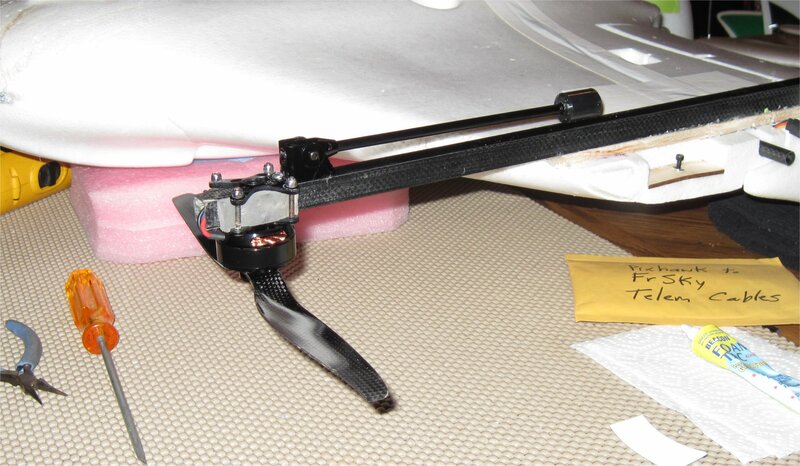 I now have an Opterra 2M wing set up as APM Plane so I could compare the underside with the FX-79. I decided that it would not be a great fit to mount the retracts in the FX-79 due to differences in the wing design. Now that my FX-79 is a VTOL craft, retracts (or a rolling base) are not required like they are on a plane. I couldn’t find an appropriate size heli sled so I decided to try the Foxtech Hover 1 EZ Folding Landing Gear Kit for $20. The 4 landing legs easily mount to the square carbon tube and fold 90 degrees for storage or travel. 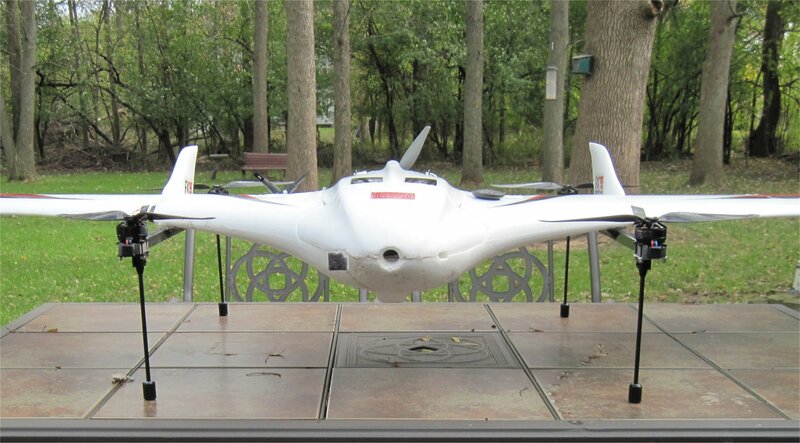 Although larger feet may be needed on grass, the idea is to lift the 2 meter wing off the ground for payloads to extend underneath. 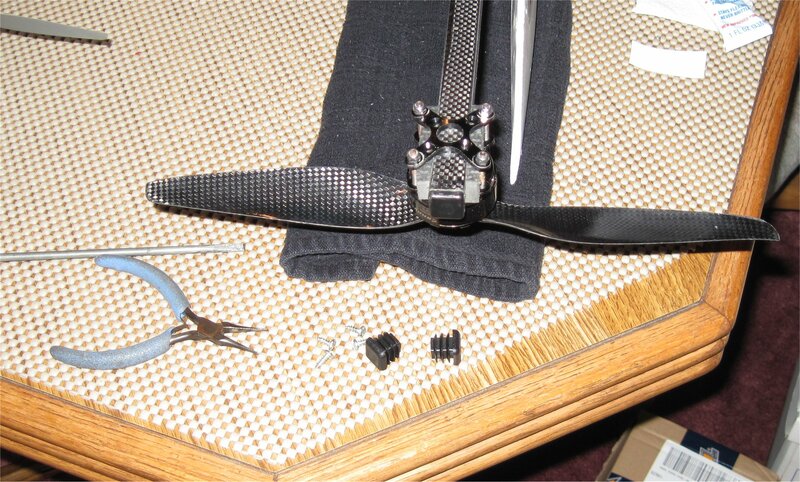 My Foxtech EZ Folding Landing Gear legs arrived so I started installing them. I was afraid to drill holes through the carbon tube, due to the motor wires being in the way, so I mounted them using #6 sheet metal screws that only went partially through the tube. I added some Foam Tac so they wouldn’t back out over time. They feel secure so we’ll see how they hold up on a rough landing. 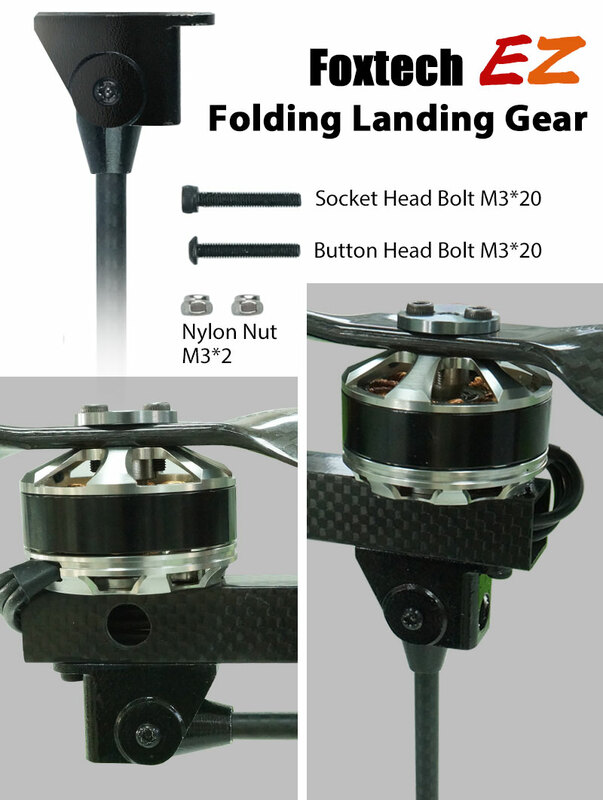 I also added a larger rubber foot from an inexpensive quad landing let set from GoodLuckBuy. These will help the FX-79 land on softer grass surfaces. I also discovered that Ace Hardware sells 5/8" square plastic caps meant for furniture so I was able to re-cover the 15mm tube ends. I had lost several of the original caps on my maiden flight crash due to the tuck. The new caps (also sold on eBay from China) have multiple fins for a better hold. 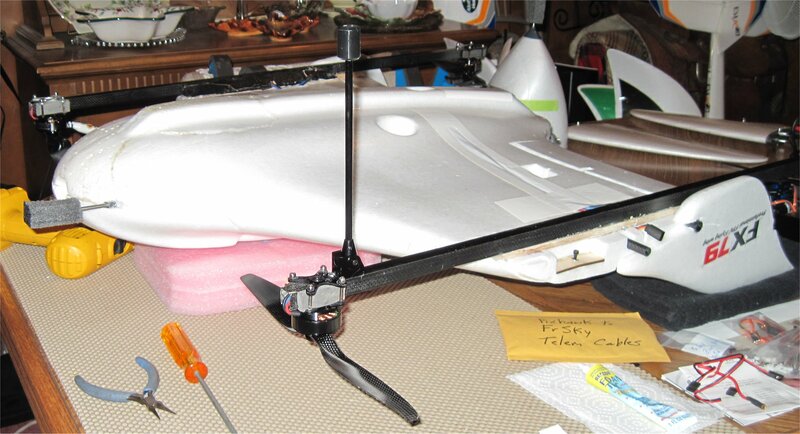 I finished installing my new foldable landing legs, AS Sensor, and new X8R receiver. The antennas on my older X8R receiver had broken coax cables which kept giving me “RSSI LOW” alarms during flight. 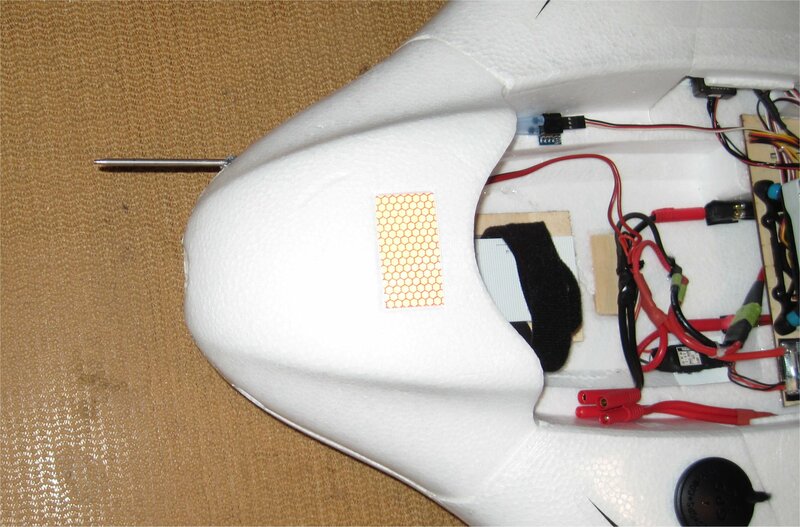 You can see the new X8R “V” antenna mount and black foam covering the AS Sensor in the first photo. 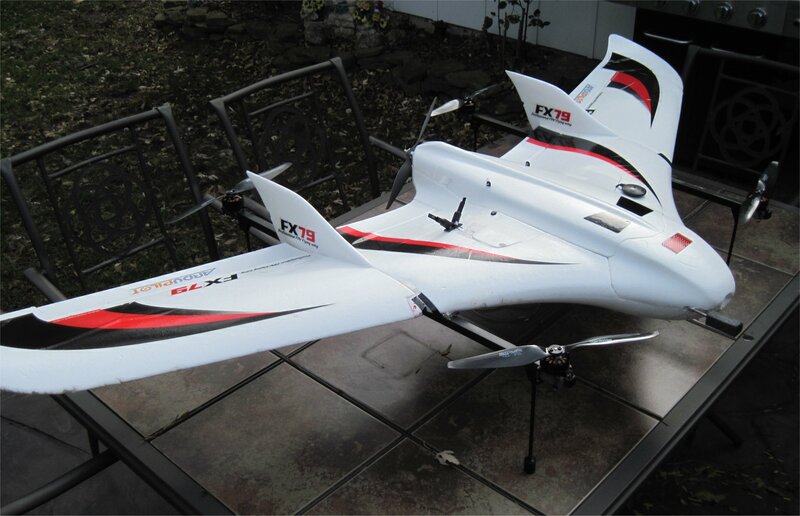 I also upgraded to the latest Plane v3.9.3 with ChibiOS and performed a short hover in my backyard before finally storing the FX-79 QuadPlane for the winter. We had bad weather this Fall and jumped right into winter weather so I decided to save further testing until next summer. I have a stock FX79 with 3DR PH and is been flying fine as a fixed wing from a 4s lipo. Now thinking to convert it to a quad plane. Asking all people who’ve done it earlier, is it better to convert to a 6s setup when converting to a quad plane or is it advisable to stay in 4s itself? What motors to be used if doing a 6s setup or a 4s setup? You can use either a 4s or a 6s setup as long as the battery can deliver the current needed for hover. For example, the SunnySky motors I used in my FX-79 QuadPlane can run on a 4s setup with 12" props or a 6s setup using 10" props. I have used them on many different setups like 4s Tarot copters, 6s FireFLY6s, and my 4s FX-79. Thank you Greg, I saw the spec of the SS3508 700kv motor, the specs are rated only for a 4s. Also, i was thinking of using TMotors 4006 380kv with 15inch props and 6s 10000mah, will this be an over kill for the fx79? Is there a conversion kit i can purchase from somewhere, were i get the carbon tubes and the motor mounts and everything else needed for the conversion? The motors are rated for 4s when using a 12" prop. When using a 10" prop, the current is reduced so a 6s rating works great. 15" props will work as long as the booms are long enough to clear the props. The idea is shorter props will result in less drag. Depending on your application, the hover periods are usually quite low so you don’t need to make it a super hover machine like a copter. I’m not aware of any conversion kits for this model. As of now the pusher motor is the stock 3542 850kv; did you change the pusher also to the 3508 700kv or only the quad? All my parts are in post 1 of part 1 here. I used an upgraded forward power system originally tested on my Volantex Ranger EX. I suspect that the stock power system would work fine on 4s because most of the my flights have the throttle reduced to 50%. No, we’re still having winter here. I don’t fly much in the snow and cold anymore other than a few float planes. I’m off to Italy in April so maybe I’ll return to flying VTOLs by the end of May. I have vibrations in the engines, yet the propellers are well balanced. Maybe it is from PID? It looks good except for the vibration. Look into these settings below. Mine are set to 0.25 for both. Try lowering yours a bit from what they are. What are your power system components? I have same motors of you. Esc is T f55A 4in1. And i have à copy of your config. 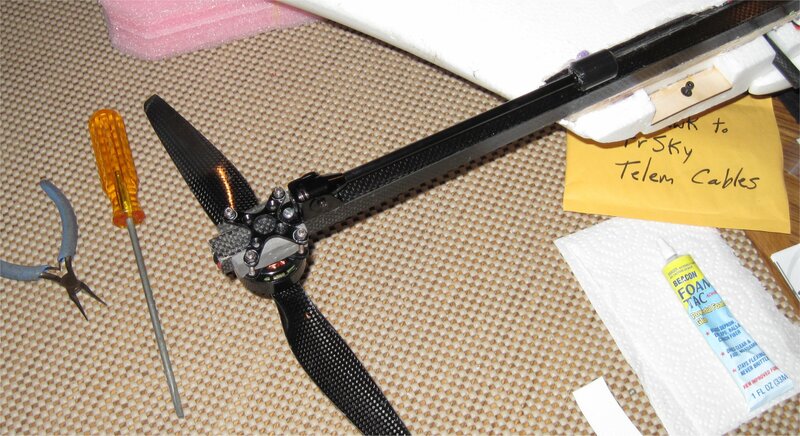 How is your Pixhawk mounted? Is it mounted on a vibration dampener like mine? Also, you are in a small enclosed area which may be blowing the air around. Maybe you can try a hover test in a more open field.